Handcrafted porcelain vessel. Butterfly is hand enameled and hand set with Swarovski?? crystals. Scent: jasmine, tuberose, and golden tangerine notes layered with amber, clove, and a hint of bitter orange. 3.75"Dia. x 6.5"T. Imported. Handcrafted Dragonfly Trellis candle. 3.75"Dia. x 6.25"T. Trellis-textured porcelain. 14-karat gold detailing with antiqued touches. Hand-enameled, metal dragonfly detail. Hand-set Swarovski?? crystals. Exclusive Jay Strongwater fragrance features jasmine, tuberose, and golden tangerine notes layered with amber, clove, and a hint of bitter orange. Imported. Handcrafted hydrangea trellis candle. 3.75"Dia. 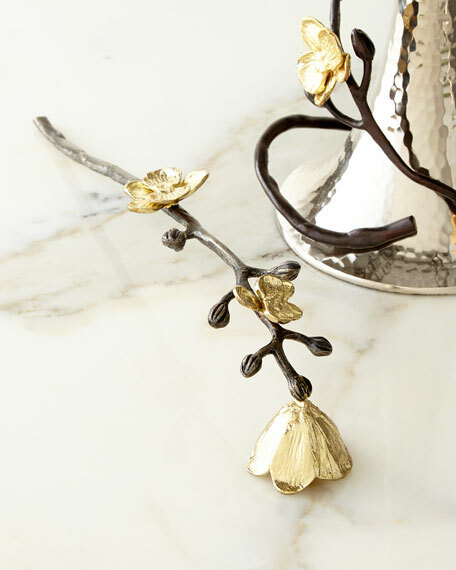 x 6.5"T. Hand-enameled, lead-free metal hydrangea adornment detailed with 14-karat gold accents and hand-set Swarovski? ?